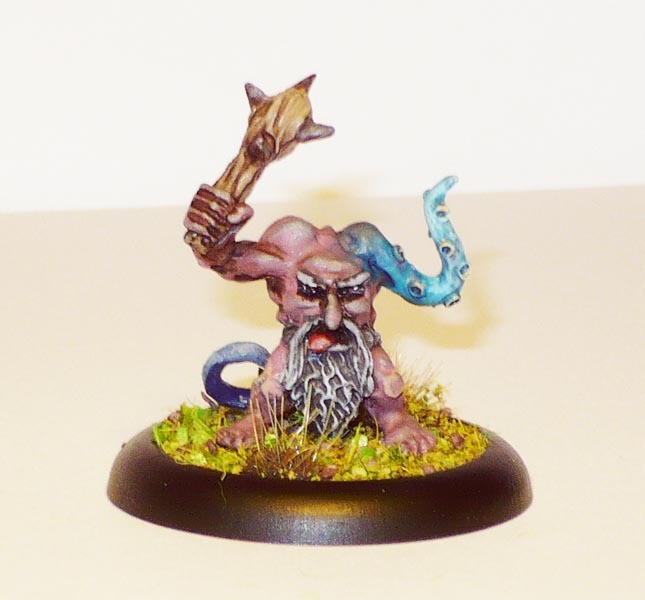 An ancient Warhammer Chaos Dwarf from the time Chaos Dwarfs had a lot of individual character and were not identical sumerian curlybeards. 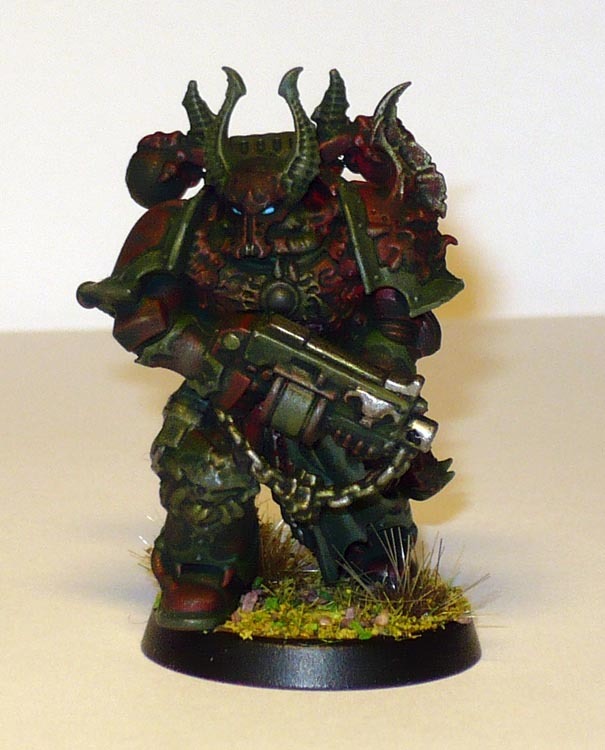 Test paint scheme for my Warhammer 40k Dark Venegance Chaos Marines. Yup, got that set when it was new, been lying around ever since. 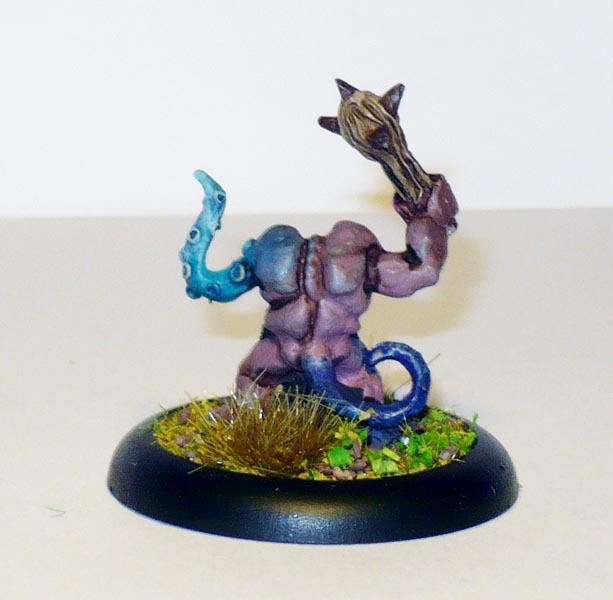 The Dark Vengeance-miniatures are really characterful. Looking forward to tackle that Chaos Dreadnought. 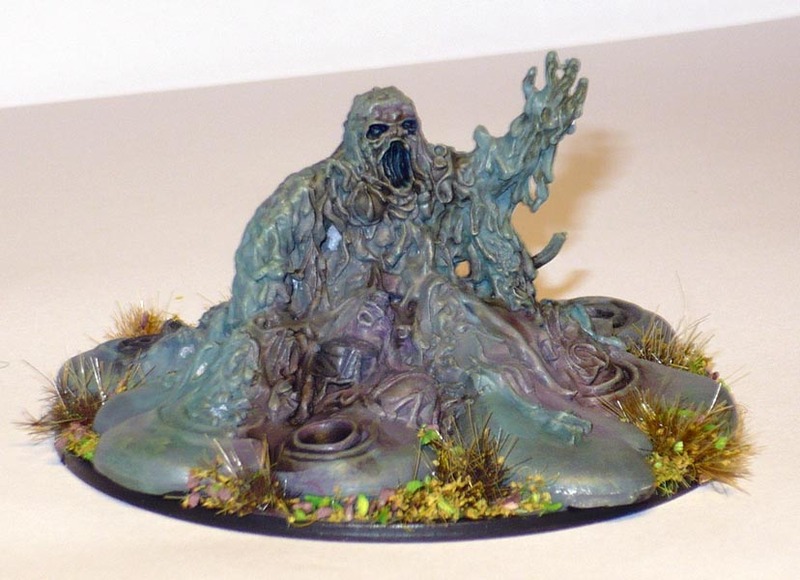 The test figure for the Deadzone Plague generation 2s. 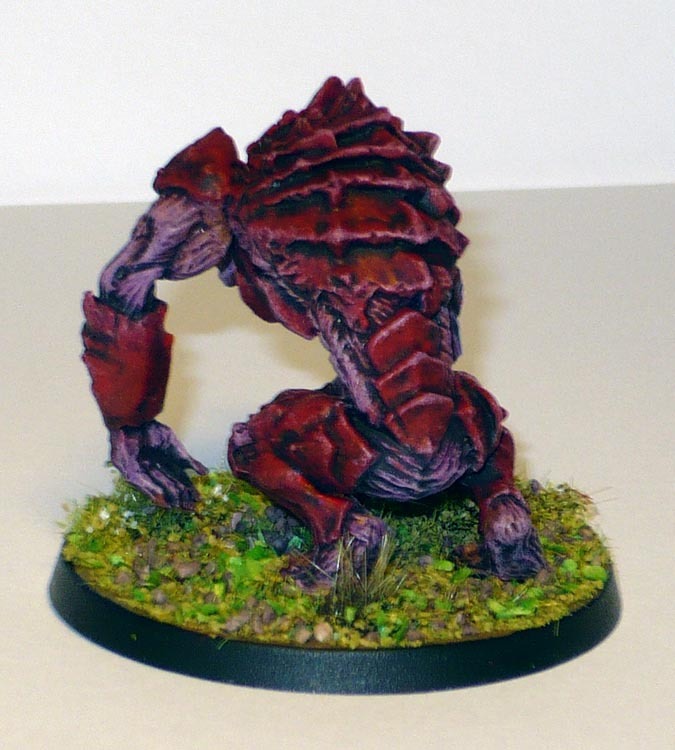 Another fast paint job. 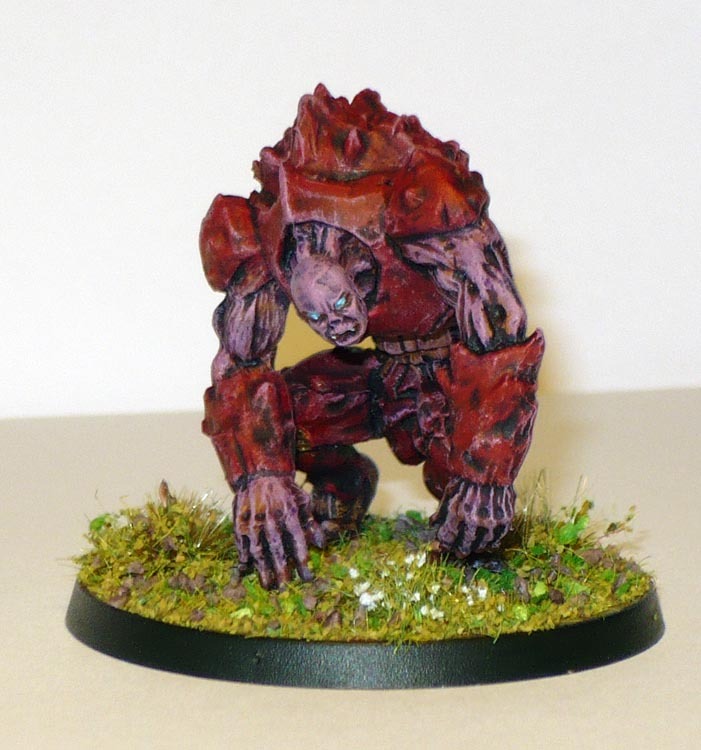 I found a box of old metal minis in the attic the other day, and amongst a lot of old Warmaster minis (up on Ebay at the time of writing) i found this ugly thing, I do not know what it is. I am thinking “FASA” or some other american company that tried to make warhammer 40k -type games in the 90s. It had a tab for slotted base. At any rate, I gave it a simple enough paint job. I call this one Emile. 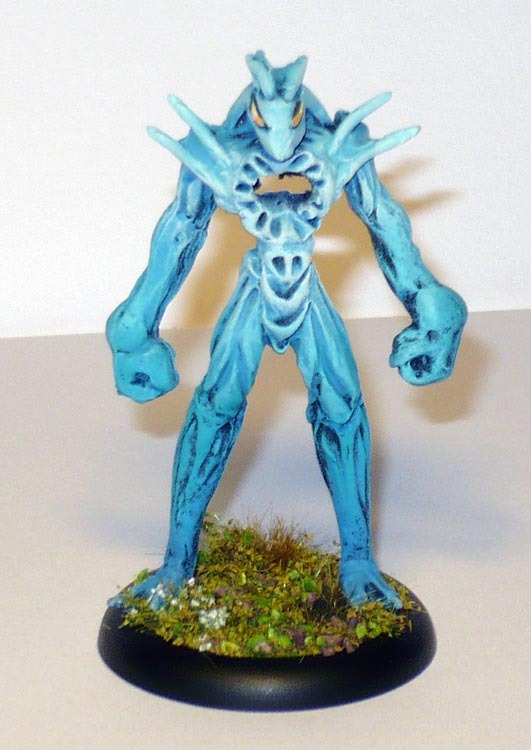 I so not know what this is supposed to represent, but I think it is a Shadowrun mini from Ral Partha. There are modern-style items in the sludge, such as a keyboard, cannisters and hat.